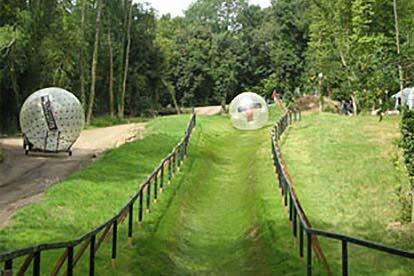 With speeds up to 25mph, zorbing is certainly the most hilarious way of travelling yet! 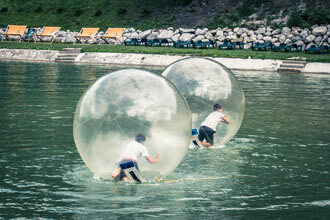 Add in a 3 foot inflatable ball as your vessel, approximately 40 litres of water, a whole lot of laughs and you are good to go! For this ride, you won’t be restrained or be strapped in, meaning you’re free to slip, slide and splash to your heart’s content, in a perfectly safe and secured space. Be sure to bring along your swim wear, as splashes are guaranteed. Upon arrival you will receive a full safety briefing, be taken to a designated area to await your turn to ride and let all of that exciting anticipation build up! When your turn rolls around, you'll be taken into the exclusive zorbing area. 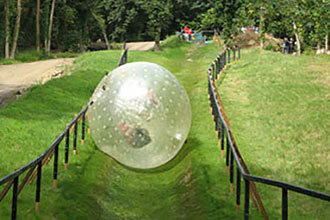 Once inside the sphere, you'll be told how to ride the inflatable ball safely and then off you go! Have a blast and let the good times roll.